Business bankruptcies are sometimes hectic. 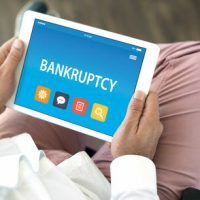 As experienced attorneys who have helped many small businesses file for bankruptcy protection, we enjoy media stories that pull back the curtain on the final days before a large company heads to bankruptcy court to file their petition. The recent story in The Intercept about retailer Gymboree caught our eye. It describes alarming behavior from management that, although shocking, is not illegal. The day before Gymboree filed for bankruptcy, Mera Chung was called in to a meeting with the CEO and chief of human resources. She was told that the company was immediately filing for bankruptcy—its second in two years—and that she was being let go. She was also told that the company’s severance plan had been terminated as of that moment. This plan would have provided 12 months of salary to terminated employees and was a big reason Ms. Chung had decided to work for the company. Chung was disappointed. But as she soon found out, certain executives received “retention bonuses” in the following days and were told to cash them immediately. These retention bonuses were in the amount of a year’s salary, or, in other words, for how much an employee would receive if the severance plan had not been cancelled. Chung was no longer disappointed but angry. Retention bonuses are sometimes valid, if a company wants to keep key executives in a Chapter 11 bankruptcy. A business does not immediately liquid in Chapter 11 but instead remains a going concern. But Gymboree planned to go out of business eventually, so these executives were not going to be needed for more than a year. Furthermore, Gymboree gave a retention bonus to some executives who were not needed for winding down the business, like a marketing executive. When Gymboree went into bankruptcy in 2017, it sought court approval of the severance plan, which allowed Gymboree to make payouts to any employees let go. As the company slid into bankruptcy once more, Chung approached Gymboree’s counsel to ask if the company would honor the severance plan in 2019 as it had in 2017. According to Chung, she was told that they would. Events turned out otherwise. Instead, Gymboree cancelled the severance plan and never even filed, seeking a judge’s approval. This move left all employees—except those who received retention bonuses—out in the cold. Even worse, the employees who were retained ended up going to the Sundance Film Festival for several weeks after the bankruptcy filing. Apparently, their services were not absolutely necessary to Gymboree’s continued existence! Small and family business bankruptcies are rarely as dramatic as the Gymboree bankruptcy. However, they present many of the same concerns—how to treat employees, whether to honor severance agreements, etc. If you are thinking of putting your business in bankruptcy protection, contact the small business bankruptcy lawyers at Nowack & Olson. We are a Plantation bankruptcy firm that has advised countless small business, and we are eager to assist you, as well. You can call 888-813-4737 to schedule a free consultation.